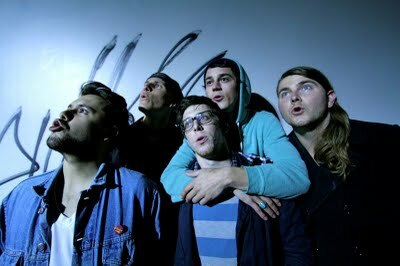 California-based indie rockers The Gromble was formed by four friends in the summer of 2009. While they’ve only been together for less than two years, they show a talent for melding hooky riffs and melodies with intimate, dense lyrics about relationships.The emotional nakedness seems to impact the musical as well. “Toto” is a swinging pop gem full of bouncy drums and guitars, but ends with a series of somber, slightly distorted chords. “Creepy Crawly” opens with off-kilter, plucked strings, that eventually explode into pummeling power chords and pounding drums, providing a good back drop for lyrics like “We’re still alive inside my mind/And that might be the only place I see you.” Listen to a few tracks and watch the band perform “Parking Lot” below.